Alan Kwan’s commute to work was 25 miles long and took anywhere from 35 to 120 minutes driving alone. Fed up, he decided to move down the street from his office. Now he bikes to work in five minutes or less every morning. 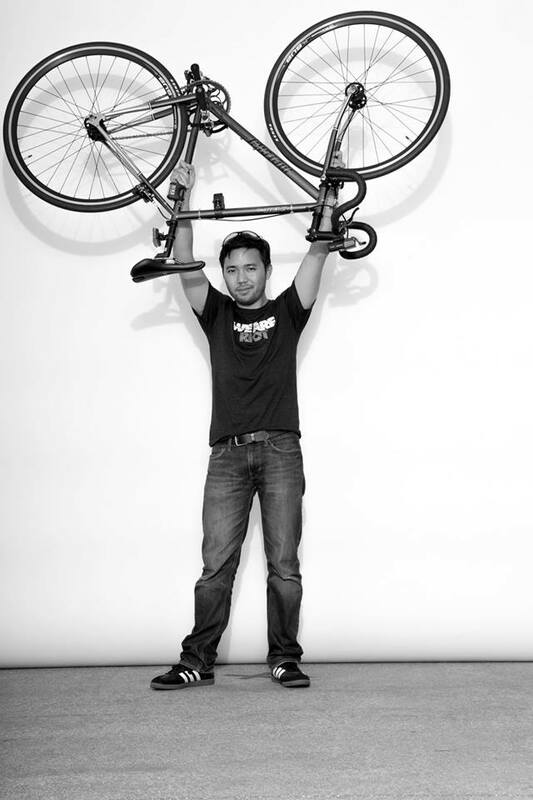 Alan holds his fixed gear bike triumphantly after cutting his commute down to five minutes. The front and back lights recharge via USB. Note the very important brakes! Photo courtesy of Alan Kwan. After the jump, Alan tells us why he bikes and shares tips on how to get your employer to chip in for bicycle perks. Before you moved closer to your office, did you ever consider biking to work? Why did your company decide to provide secure bicycle parking? “The story, to my knowledge, goes something like this: We do have general bike parking where you can lock your bike (typical steel bars bolted to the ground). But it is very small, sparse, and not enough for the growing number of cycling commuters. [Car] parking spaces are also quite expensive for our employer. “Fiskar was renting parking spaces on the first floor parking of [our office complex] Colorado Center but no longer needed them. So our company saw an opportunity to [rent] three parking spaces previously rented by Fiskar and convert them into a bike garage with keyed access, solid fencing, and other secure features. While this was a project that was moving alongside several other facility-related projects, it gained momentum when one of our colleagues had his bike stolen from the generic bike parking (U-lock was cut). Do you have tips for people who are trying to persuade their employers to offer more bicycling perks? “Our company, particularly our facilities team, definitely works hard to make us happy (and they deserve most of the credit [for the bike perks], not me). I believe there are tax bonuses for businesses in Santa Monica if a sizable amount of your employees use alternative transportation (bike, bus, carpool, walk, etc.). So, anything to provide employees secure and easy alternatives was a no-brainer. On top of that, employees who trade in their car parking permit get the company back ‘X’ dollars from the site management, and we get a significant portion of that credited directly to our paycheck as a sort of thank you and incentive. Have you had any particularly memorable experiences while biking to work in LA? Do you have a favorite bike lane or path in LA? 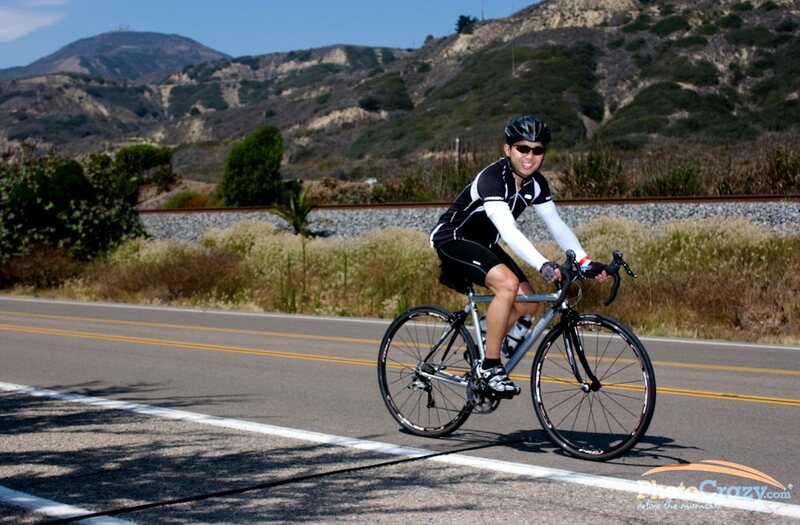 Alan and his road bike on a century (100-mile) ride in Ventura, CA. To simplify his commute, he rides a different, more theft-resistant bicycle to work. Photo courtesy of Alan Kwan. Thanks Alan for sharing! Not all of us have employers as generous as yours, but your story is still a reminder that organizing and advocating for good ideas is always important. We’ve sent you a Nathan LED reflective safety vest, a year of bicycle roadside assistance from Better World Club, and some Clif bars for your rides. This is a double edged sword for Metro at its current system. On one side, it promotes healthier living and a change of life habits to live closer to where you work or find a job closer to where you live. On the down side, it’s also promoting bicycles (or other alternatives) for shorter commutes over going Metro which in the end, ends up hurting Metro’s own revenue stream. I wouldn’t be surprised that the real reason why Alan decides to bike the 1 mi is because it’s cheaper than taking the bus for an 1 mi commute. If Alan uses the bus at the current fixed flat rate system, Alan’s 1 mile commute per month will cost him $75/month. Now if the bus was distance based at a fair price for around $0.25 a mile, then Metro could potentially making 25 cents off of him each way or 50 cents per day for the roundtrip. That amounts to an additional $2.50 per week or $130 per year in additional revenue to Metro from Alan alone instead of letting Alan bicycle that 1 mile in which Metro earns nothing under a flat rate system. Multiply that with thousands of short distance riders that Metro is losing out on over to bicycles because going Metro is just not cost effective over shorter distances. See, it’s a double edged sword. You promote healthier lifestyle by altering lifestyle habits to move closer to your workplace and use the bike to commute, but financially, it doesn’t help Metro at all because there’s no revenue stream going into it. This is a great example of how bycicling is a great alternative to driving. I always take my bike to the grocery store instead if taking the bus even when I have my metro pass, because for a short distance it is much more convenient, because of the time lost waiting. @LAX Frequebt Flyer, I think promoting cycling actually promotes metro usage. Once commuters begin to explore other options outside of driving, they will begin to see how its not so hard to get around without a car. Also metro rail is great for cyclists because you can always put your bike on, unlike the buses, where the racks fill up. It is definitely one of the reasons I prefer rail. Yeah, but for the rest of the passengers, they are a friggin’ nuisance and is a huge safety hazard for other people. I don’t know why we even allow bikes onto trains in the first place.